1) As a buyer, I want to sort product by data relevant to my needs, so that I can quickly and confidently decide and request a quote. 2) As a seller, I want automatic updates to my online inventory, so that I can increase efficiency and reduce human error. 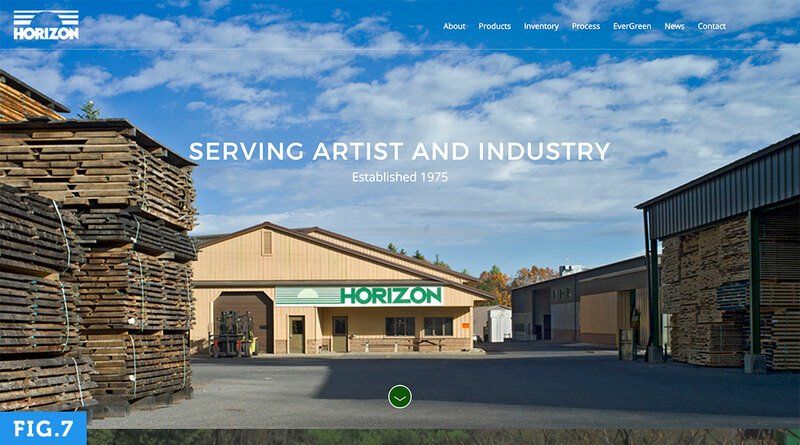 Horizon Wood offers hundreds of products — sets of wood. 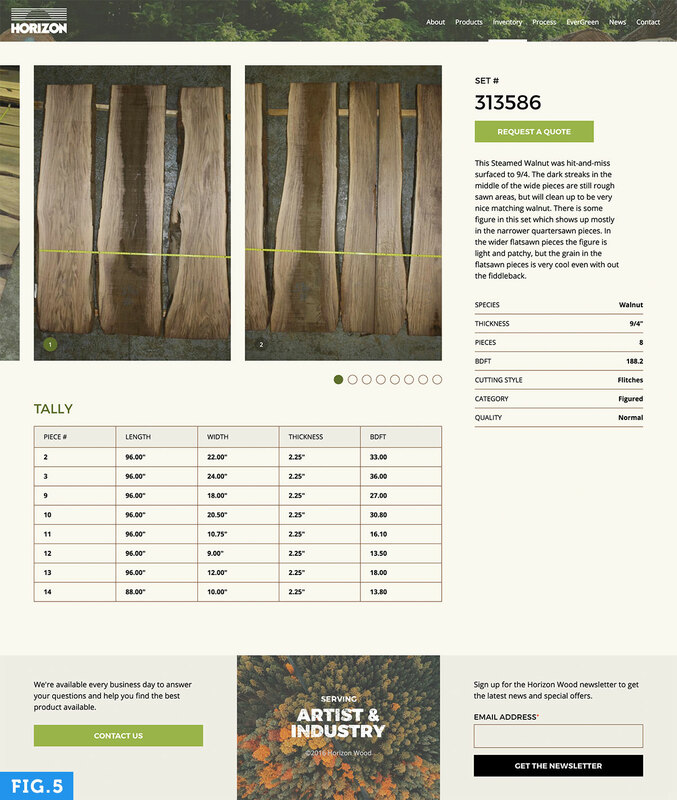 And each set has up to 16 boards, any one of which could sell right now, and their inventory would need to be updated. 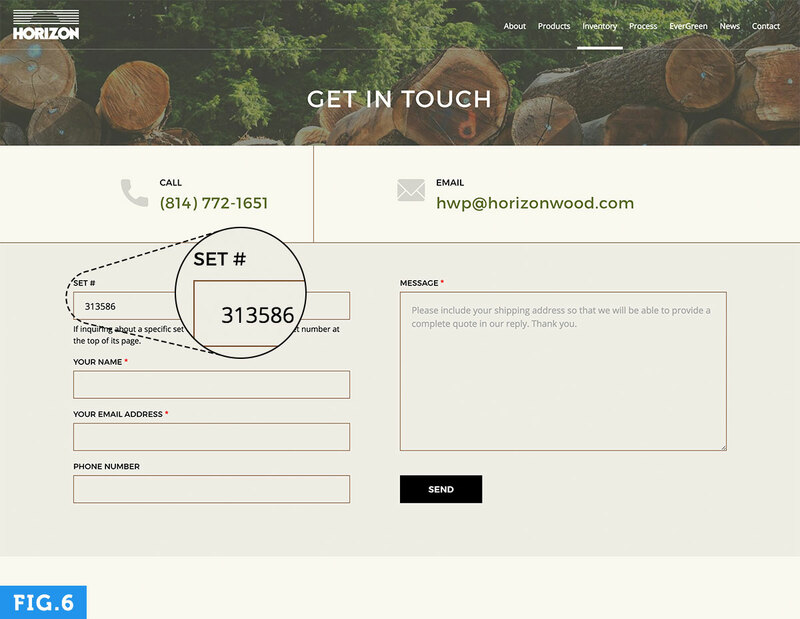 Horizon successfully manages these updates with a Microsoft SQL database. Unfortunately, that database did not automatically sync with the old website. Any changes to inventory were made in two places, the database, and the website. Not only was this a meaningful time committment but also prone to inaccuracies. 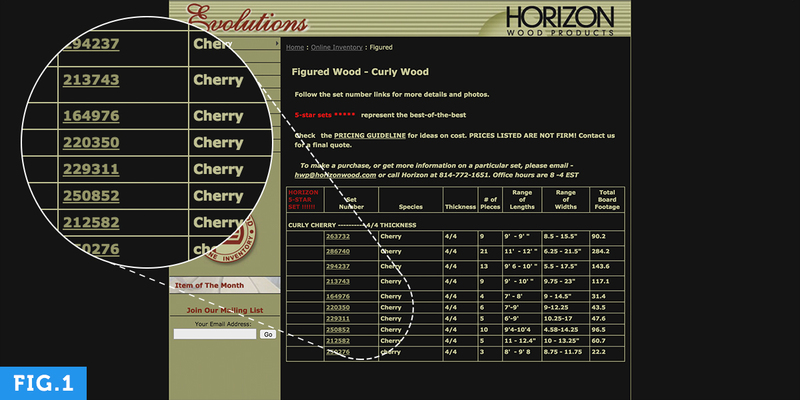 The new Horizon Wood online inventory alleviates these pain points. Every few minutes, our Drupal backend automatically syncs with Horizon's Microsoft SQL database, and updates the website accordingly. This sycronization is up-to-the-minute, accurate, and requires zero content management from the client. 3) As a brand, I want consistency across media, so that my customers feel they know and trust me. 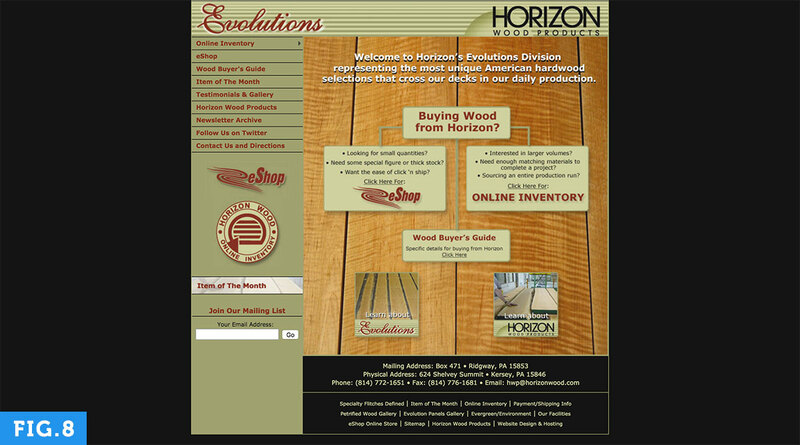 Originally, Horizon Wood was two websites — a brochure site about the saw mill, horizonwood.com, and inventory site, horizonevolutions.com. 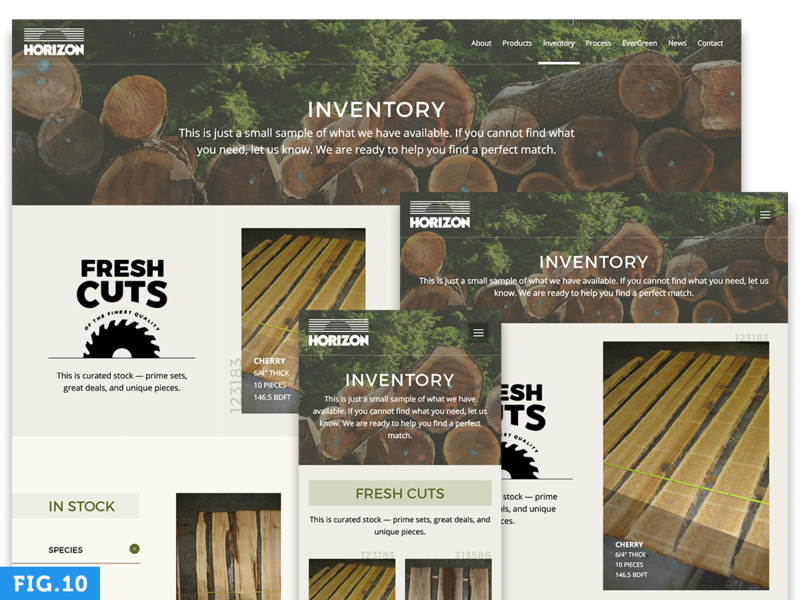 While the brochure site had been recently updated, the inventory site remained archaic, and the two looked nothing alike. [Fig.7] and [Fig.8], respectively. At a glance, you wouldn't have known these sites belonged to the same brand. Even the logos were different. 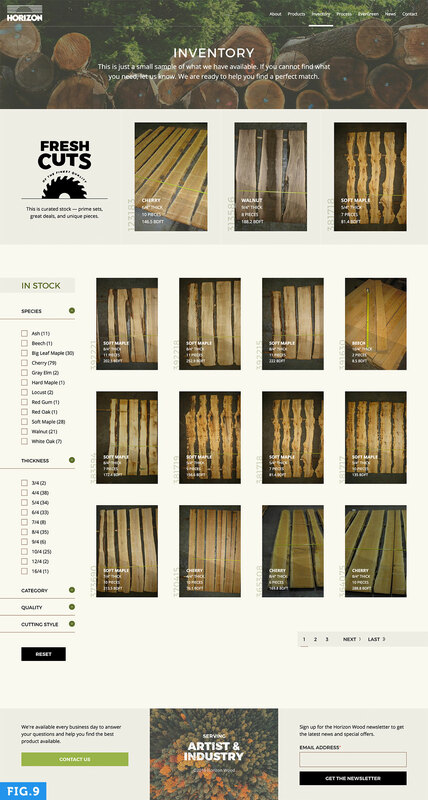 We've also built a password-protected inventory page for wholesale buyers, and will be adding the ability for users to search by ranges of data via the faceted Solr search. Finally, we're working with our "Swisster" company, Amazee Metrics, to optimize the new site for search engines. 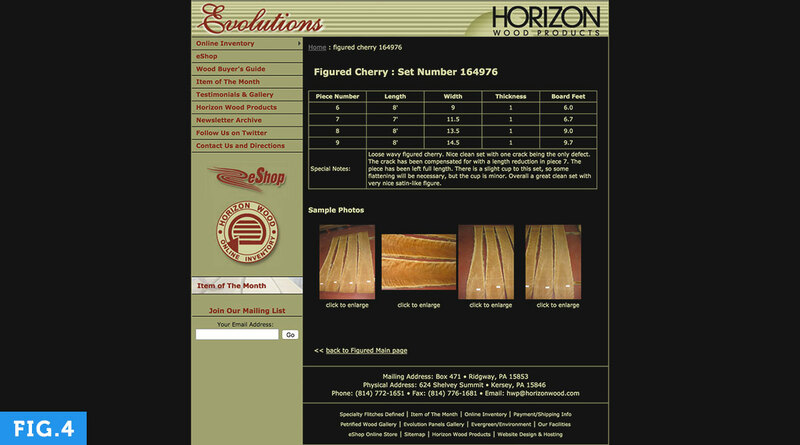 Look for these updates in the near future, and more from Horizon Wood and Amazee Labs Austin. Thanks for the note, Nick. We're currently implementing similar functionality on two other sites and plan to write more about those juicy technical details you speak of. We'll let you know when we do. Thanks again! Excellent job on the site responsiveness. May I ask, what theme did you use? And for the search, what motivated you to use Solr instead of the (simpler) Database Server from the Search API?